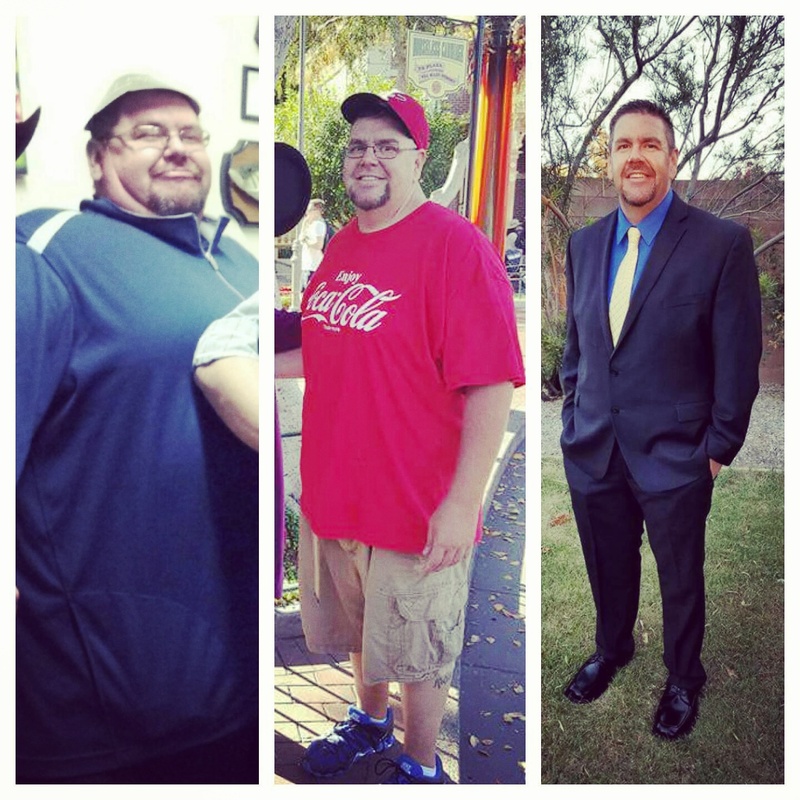 My name is Jason H. and I got the gastric sleeve from Dr. Owens on July 22 2015. The only regret I have with the surgery is that I didn't do it 10 years earlier!!! It was totally life changing. I have lost over 200 pounds and have kept it off!! I sleep better. I can exercise. I can do things with my son that I couldn't do for over 10 years. If you are even considering doing this you must! Dr. Owens and the staff completely took care of me. Pain was minimal and I was back to work in a week.!!! He is simply the best! Take your life back today! Don't wait!!! 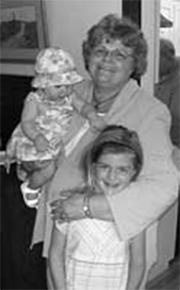 DR OWENS AND COASTAL CENTER OF OBESITY GAVE ME THE QUALITY OF LIFE I DESERVED! The quality of my life has increase 10-fold because of my decision to lose the weight and use Dr. Owens and his staff at the Coastal Center for Obesity! I'm now almost exactly 2 years past my surgery date, down 107 pounds, into clothes size 6/small, and can wear a lot of my daughter's clothes!! Am SO confident in Dr. Owens and the surgery that I gave away ALL my big clothes (I had always kept some of my big clothes because I KNEW I'd regain my weight. Great self-confidence, huh?!) I taught aerobics for 25+ years, felt and looked great, muscular, packed. After I quit, it took quite a few pictures for me to realize that I DIDN'T look that way anymore. I knew I didn't feel that great, but I attributed it to knee issues, high blood pressure, work stress. I was taking a lot of medication for all these issues. Looking at myself in the mirror everyday did not register to me that I was gaining weight. Even with my adjusting clothing sizes from XL to 3XL, it never clicked that I was gaining weight. I used 20-20 hindsight in the mirror and I kidded myself that I was gaining. I ate from stress, plus going out to lunch with my coworkers. Always wanted the best value so we hit buffets. Since I wasn't working out, the pounds piled on. I finally realized I had gained so much weight that I didn't want to appear in pictures, so I because the unofficial work and family photographer, to make SURE I didn't appear in any photos. I was embarrassed to go out in public. We always had to get a table because I couldn't comfortably fit my stomach under or against a booth table that didn't move. I had severe joint pain in my knee, shortness of breath, depression and lack of energy. I felt I was also prediabetic. I was even approved for a temporary handicapped placard which was both a blessing and an embarrassment. The greatest embarrassment was at my daughter's wedding in March of 2013, when I saw the mother/daughter bride getting ready photo. I have been seriously considering bariatric surgery for over 10 years; however, I kept telling myself that I can do this, I can lose the weight on my own. After a TON of research, I contacted Dr Owens and his wonderful staff about the possibility of gastric sleeve surgery. They were so supportive and informative through the entire process of my sleeve surgery! I have a newfound positive attitude for the future. I have positive energy and health that I'm able to apply to myself and family. I can play with my grandkids. I don't have to take blood pressure medication or pain medication. I don't have sleep apnea anymore. We've saved a LOT of money on food in the home and eating out. I'm now a REALLY cheap date! I only eat maybe a couple of bites of my husband's selections and the restaurant serving staff TOTALLY understand. (I still tip as if I ate a full meal, though) After surgery, I felt that I had my slender, high self-esteem life back. I will be eternally grateful to Dr. Owens and everyone involved with the program; they've helped me save my life. Dr. Owens is more than just his title. This man changed my life in mote ways than I could describe. I came to Dr. Owens at 406lbs with sleep apnea and s laundry list of issue. Now I type this at 192lbs without sleep apnea living a healthy and happy life. Dr. Owens is such a dedicated and humble man. I truly feel blessed to have him on my life team. P.S. I also want to mention his amazing staff. I've never felt like a patient with them... more like part of the family. It was a struggle throughout my life with weight management. I tried all kinds of ways but in vain. When I was younger, my body could handle the excess weight, but as soon as I reached 40, I started getting other co-morbidities. I got Sleep Apnea, was lethargic, and was close to getting hypertension and diabetes. It was a no brainier at that time, that if this is not controlled and I did not reduce weight, I would eventually have more co morbidity's like Arthritis, diabetes, hypertension which could lead to Cardio vascular diseases and more. That is the time when one of my doctors advised me of this procedure. I then attended different seminars, searched the internet and finally decided to get the Gastric Lap-Band done with Dr Owens. My pre operative weight was 255 lbs. and now it is 202 lbs. My name is Nicole, and I am 38 years old. 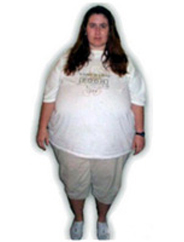 I had Gastric Bypass surgery in September of 2006. I was the heaviest I had ever been at 209 and was very unhappy with my body and very depressed! It was to the point I would turn down invites to go out with my friends. I hated getting dressed every morning, and it put a strain on my intimate relationship with my husband. I developed severe female problems, severe asthma, and I was very unhappy. When I talked to a neighbor who also had undergone Gastric Bypass surgery by Dr. Owens, I began to see it as a possible solution.I never in a million years thought I would have this surgery. Now I feel great, look great, and have been able to keep the weight off! I am now 115bs. When I saw Dr. Owens for my first or second follow up, he was very pleased. He told me that I am at the ideal weight for my height, and that this is why he loves what he does - because of patients like me. It made me very happy and will never forget that. He did a fantastic job, and I have no regrets. 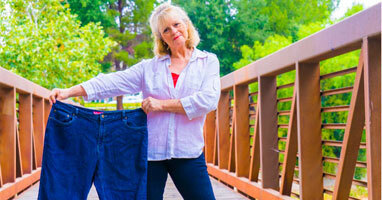 Jennifer lost 75 lbs, 6 months after having the gastric sleeve surgery. In this video she shares the reason leading to her choice and her experience before and after the surgery. 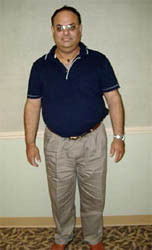 Pacorro is a well known personality with his own national radio program. His job requires a lot of energy. He was concerned about his future; afraid of developing health problems. 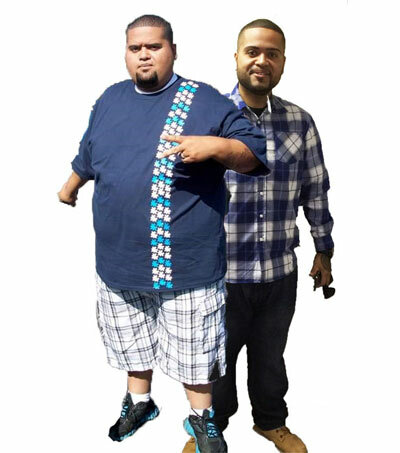 Pacorro has lost over 100 lbs so far! I decided to get the Lap-Band procedure when i was only 17 years old in December of 2007. I decided to do this for my futue and self-esteme.Seeing part of my relatives being obesed and seeing how sick they were from being obesed, encouraged me to get the Lap-Band. I decided to get teh Lap-Band because i knew it was a safer choose in my age. Before surgery i came to weigh 256 Lbs. today after a year and a half i weigh 126Lbs thats a total lost of 130 Lbs!! Now in this new body I feel more energetic, my self esteme has gone up in a huge way. Im more active when i excersice. My emotions and view of the world and my suroundings have change. I see things more in the positive way and Im enjoying life more then i did before. "My battle with morbid obesity began when I was 19 years old, and for 16 years, I yo-yo dieted my way up to 367 lbs. 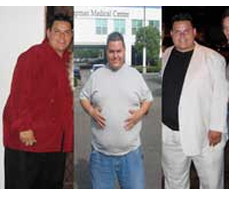 My life changed on May 2, 2003 when I had Gastric Bypass Surgery through Coastal Center for Obesity. In my first year postop, alone, I lost 184 lbs - more than what I weighed at one year out! To date, I've lost 222 lbs and have been at goal since 15 months postop :) I've gone from a Women's Plus Size 7X to a Misses 4. It hasn't been an easy ride, but it is so true when they say that the surgery acts as a tool - not an easy tool but definitely an effective one! I have found that it is no longer just willpower that is keeping me on the right path, and my new anatomy helps to "force" dietary compliance. I am more in touch with my body now more than ever, and I can actually feel hunger and fullness knowing when I need to eat something (and when it is time to stop). I never had this before - rather it was just eat and eat until there was no longer any food left. Before the surgery, I was always eating to feel full and thus satisfied, neither which ever really happened, but since surgery, most of the time I've been full before I am satisfied. For the first time in my life, I finally have control around food (instead of it controlling me), and I am confident that I'll be able to maintain the weight I've lost :) I definitely have no regrets, other than wishing I hadn't waited so long to find out about and follow through with WLS and Coastal Center for Obesity!" 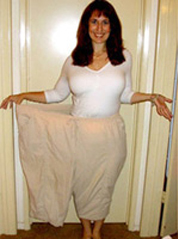 I worked as an RN at a university hospital that had a surgical weight loss program. I refused to look at surgery as an option for myself. WHY???? Because I believed that my weight was my responsibility. That I had gained it therefore I must loose it and I should not do anything as drastic as surgery. At that point in time I weighed 280 pounds and had tried most diet and exercise programs ever developed. I began to learn about surgical weight loss; the process, the procedures and most importantly to me the disease aspect of obesity. Dr. Milton Owens was my surgeon and Dr. Douglas Krahn assisted with my case. 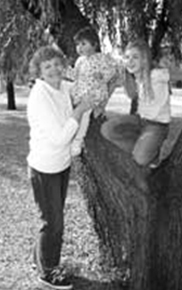 I chose to have the Roux-en-Y Gastric Bypass and I had laparoscpic surgery on July 24, 2004. I was back to work in 2 weeks. I proceeded to lose 125 lbs in about 18 months.